Bringing our story’s world to life through setting. Imagine your character needs to climb a tree in order to reach her goal, be it safety, buried treasure, or a clue to the mystery she is trying to solve. Your character climbs the tree, reaches her goal, and goes on to the next scene. Pretty boring, huh? Even if you add dialogue or a little bit of a slip that requires her to use her strength to pull herself up, you can increase the intensity of the scene without adding a sniper, bomb, or other outside force. In doing so, you will have increased the risk of climbing the tree, which will create emotional angst and possible physical issues. You might even encourage your character to find some new friends who can help or seek out an alternative. You also will have included something special into your story, which will make your world seem more real and more physical. A simple change from a regular tree to a spiny tree can change your whole story. Look through your writing and see if you can raise the stakes for your characters by heightening the danger with the forces of nature. Why does my character need to climb this tree? What if, instead of a character climbing the tree, the tree falls? 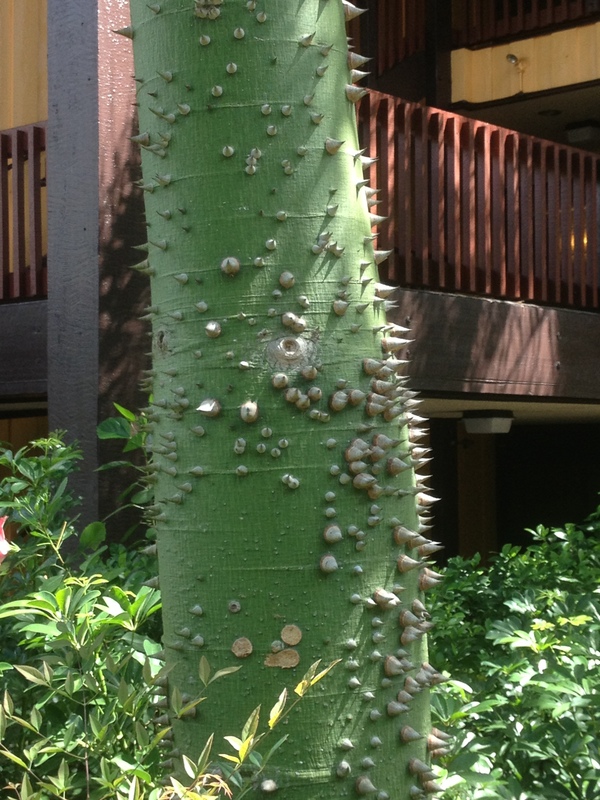 What kind of person would climb this tree to begin with? This entry was posted in The Muse, Inspiration & Story Ideas, The World of Writing and tagged angel, author, Elysian Chronicles, fantasy, guardian angel, M. B. Weston, muse, publishing, speaker, warfare, writing. Bookmark the permalink.